Our spacious Double Deluxe rooms, located on the first floor in the heart of Palazzetto Pisani, feature renovated bathrooms. Each Double Deluxe room is stylishly decorated and offers a variety of amenities, with original decorative details. 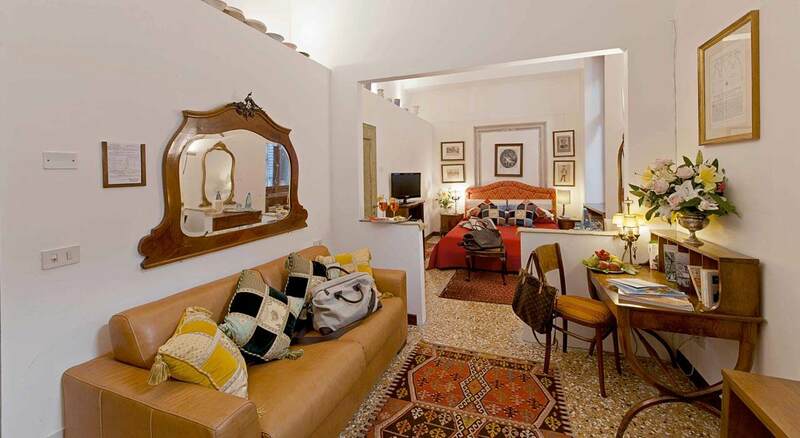 Overlooking the nearby Calle Genova and Rio del Santissimo, they are the ideal choice for a romantic holiday for two.